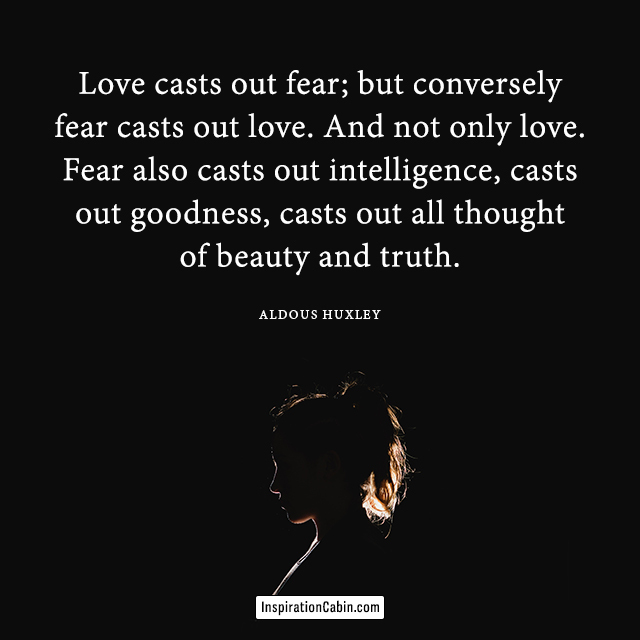 Love casts out fear; but conversely fear casts out love. And not only love. Fear also casts out intelligence, casts out goodness, casts out all thought of beauty and truth.